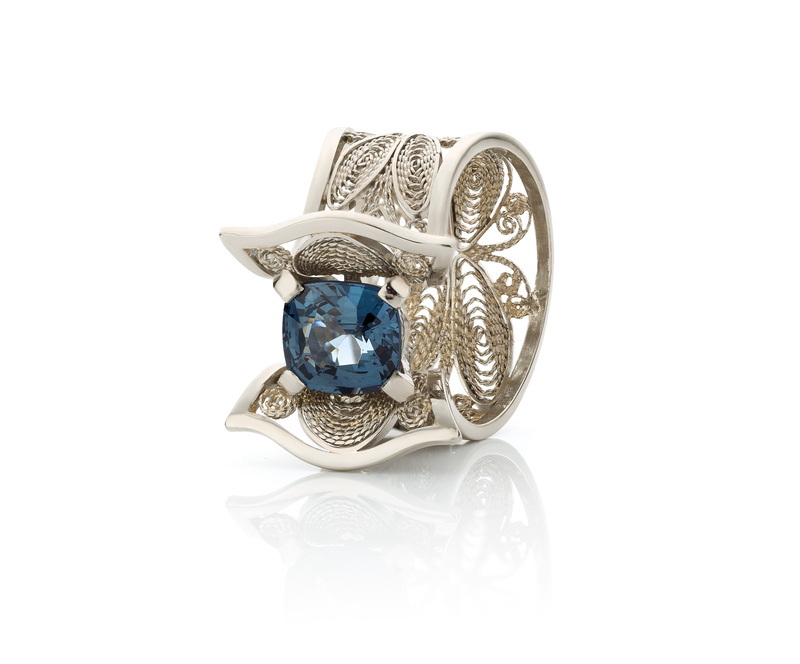 This very detailed 18kt white gold ring is made in filigree; an ancient lace-like metal technique. 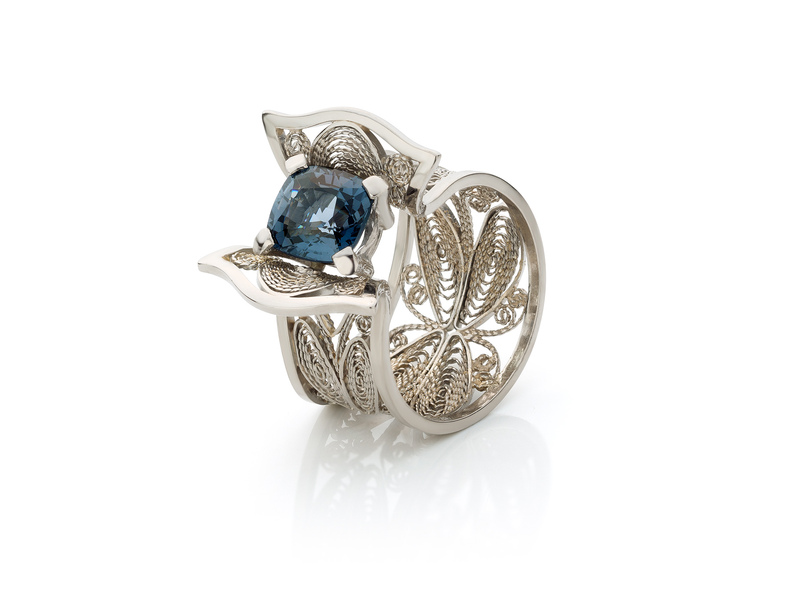 It contains a stunning natural untreated and unheated dark blue spinel of 2.27cts. from Mogok, Burma, and two white diamonds on either side.